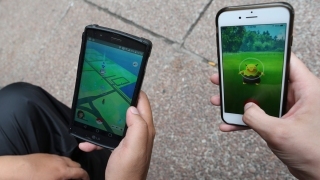 Pokémon Go robberies are on the rise in Berkeley, police said, while in San Francisco, police said they arrested an alleged robber who took a man's cell phone as he was playing the popular smartphone game. Police on Wednesday said Berkeley is just the latest community to see a spike in Pokémon Go-related crimes. In the last month, police said there have been two robberies and one attempted robbery where all of the victims had been distracted by playing the game and not being aware of their surroundings. On July 12, a woman had been playing the game on Durant Avenue when she told police a man knocked her to the ground, while another man tried to take her phone and purse. On July 13, a 16-year-old suspect jumped out of a car, punched a victim and grabbed the phone from his hand near Parking and Warring streets, police said. Police later arrested that suspect and his driver. On Monday, police said a teenager tried to grab a phone from a victim at Civic Center Park, but the victim fought with him and the suspect never got it before running away. Berkeley police are using these three events to remind people not to be so focused on their phones so they don't see what's happening around them. And if people are intent on playing Pokémon Go, especially at night, they should consider going out with a group of friends, police said. 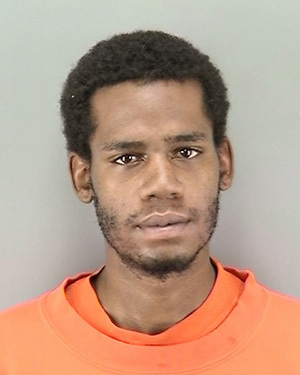 Meanwhile, San Francisco police on Wednesday, said they arrested Damarea Williams-Evans, 23, in connection with felony strongarm robbery, terrorist threats and drug charges after they say he stole a man's cell phone as he was playing Pokémon Go. The victim had been playing the game on Aug. 4, on Mission Street when a man snatched his cell phone from his hands. The victim ran after the man police identified as Williams-Evans, who was eventually arrested. Police say that Williams-Evans also has "numerous active" warrants out of South San Francisco, Santa Clara and Marin counties.